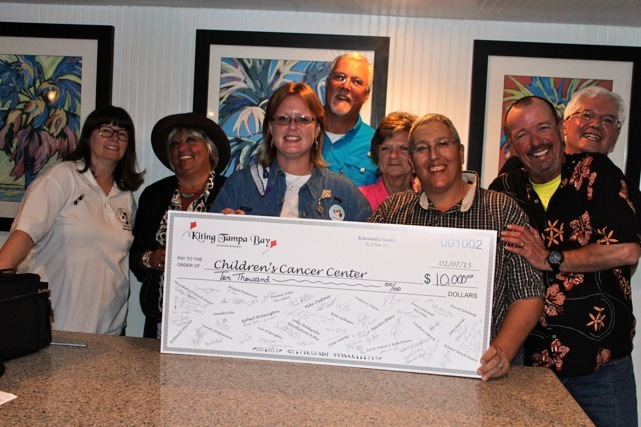 Kiting Tampa Bay is hosting their second kite auction to benefit the Children’s Cancer Center of Tampa at KiteMania 2015. 100 percent of the proceeds will go to directly the center. We are currently looking for donations to support this event. In 2013, KTB and the kiting community raised over $5000 and we would like to top that amount this year. From all of us here at Kiting Tampa Bay. We would Like to thank Lolly, Revolution Kites and all the Rev flyers in attendance for supporting our Auction to benefit the Children's Cancer Center of Tampa. Thanks to you we raised $10,000 for the Kids!! !